When I discovered that I was pregnant I was in my doctor’s office and it genuinely didn’t occur to me that I could have been pregnant. I didn’t cry the day I found out. I was just totally stunned and cried for days afterwards and felt guilty because I thought of every single option. I felt wrong for not wanting to be a mother but ultimately I just knew that at that time I couldn’t be a parent. After I found out I was pregnant I realized that my passport had run out, so I had to stay pregnant for about five or six weeks until I could actually travel over to England to have an abortion. The people in Marie Stopes were incredibly helpful and that was where the majority of my information came from. Because when I found out at my doctor’s office I didn’t know if I could ask my doctor about any other options. It was all googling and frantic and secret and just not really knowing and not being prepared at all for the actual procedure. I felt like I was the person that had to deal with it myself. I felt like I couldn’t ask anybody for help. It felt like I couldn’t even ask anyone to go with me because it wouldn’t be fair of me to put that on them. Because I had to travel so obviously it’s wrong. It took a while for me to realize that the wrong was being done to me and I wasn’t doing anything wrong. I was doing something normal and responsible and it’s atrocious that women feel like that making decisions about their own lives. Join the It’s Time Movement. 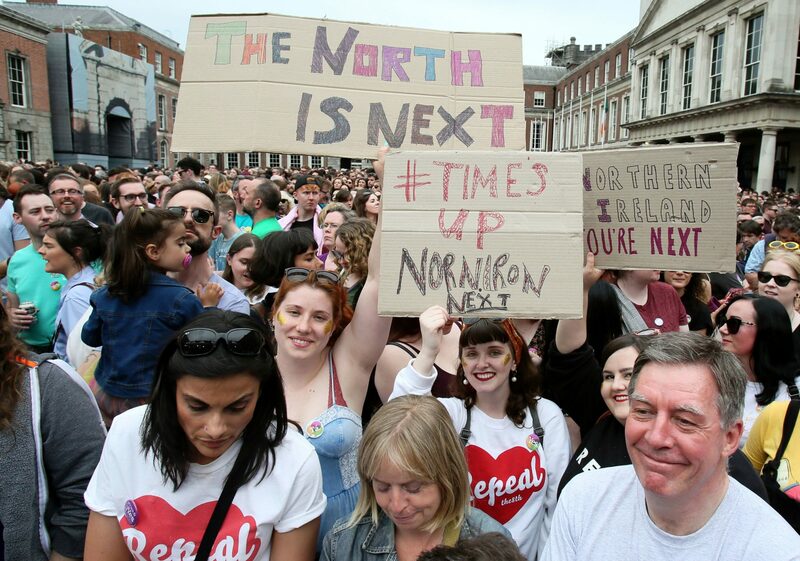 By joining the It’s Time Movement, you will be kept up to date on developments in the global campaign for sexual and reproductive rights, and information on how you can get involved.